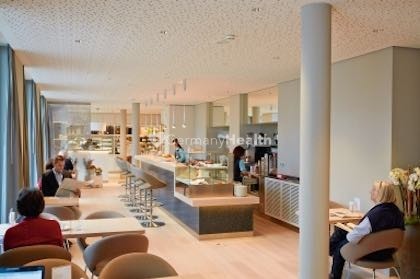 The Hirslanden Klinik in Zurich is one of the most exclusive private hospitals in Switzerland. The Hirslanden Klinik is part of a collaborative network of expert specialists and centers of excellence offering patients a wide range of custom tailored treatments as well as the highest professional industry standards of medical and nursing care. The hospital is renowned amongst professional circles for its medical infrastructure and expertise. 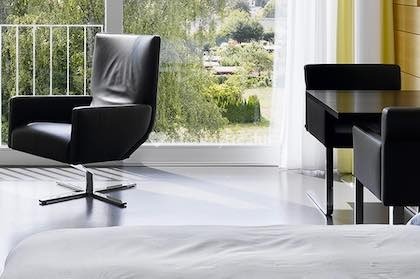 Comfortable accommodation is sure to make its guests feel at ease and aids in your full rehabilitation. 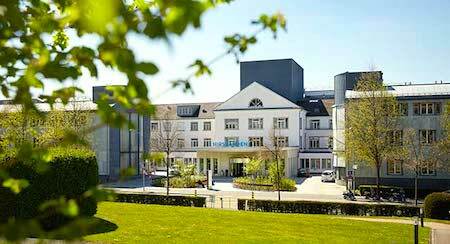 Founded in 1932, Hirslanden Klinik today has 330 beds, 14 operation theaters, and 3 delivery rooms. More than 510 accredited doctors and in-house physicians with renowned experience and expertise and around 1800 highly trained employees are dedicated to the welfare of every patient. The Hirslanden Klinik is situated high above Lake Zurich in the Hirslanden district. 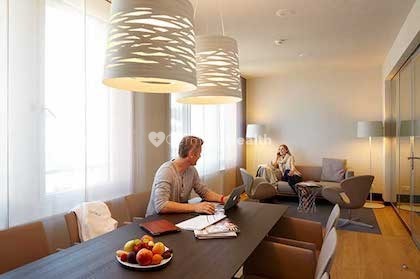 The hospital’s location on the leafy outskirts of the city boasts a sweeping view over Zurich and the lake, yet is still easy to reach on public transport or with our exclusive free shuttle bus. The Hirslanden Klinik has been awarded numerous certificates and awards for its excellent level of service and quality, including the ISO 9001:2015 certification. 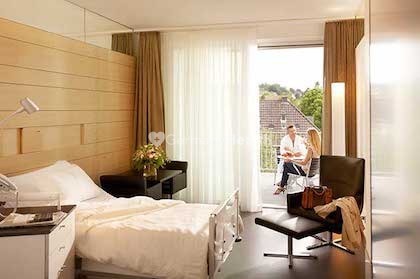 The Hirslanden Klinik in Zurich offers a comprehensive list of services and medical care thanks to its collaboration with affiliated doctors and centers of excellence. This collaboration allows the patients to receive the most professional and cutting-edge treatments in the industry. 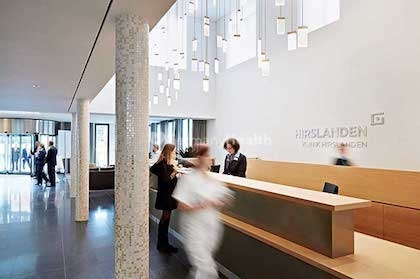 With the medical expertise of an acute hospital with affiliated doctors and in-house physicians, the staff at Hirslanden Klinik is able to accompany patients from diagnosis to recovery while at the same time offering each patient with individualized care. With over 50 institutes and centers of medical excellence, Hirslanden Klinik is a field-leading group with unmatched expertise and experience. The main focus lies in cardiology, visceral surgery, neuroscience, orthopedics, gynecology and obstetrics. The clinics emergency unit is available 24-7. Our international office, which tailors medical care and services to suit the needs of international patients. We offer you our personal assistance service for visa obtainment, accommodation search, airport transfer, interpreter services, air ambulance service, sightseeing arrangements. We recognize cultural and religious aspects of our patients. Book our personal assistance service if you need help to find the right hospital or clinic or to book an appointment. For patients with highest demands we recommend to book our VIP Medical Concierge Service, which includes all parts of our service. We help you at any time!